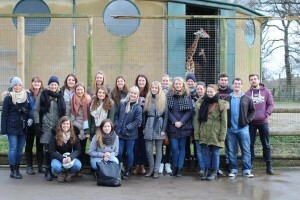 On Friday 29th January only a few hours after our final exam nine students from Freie Universität Berlin Veterinary School arrived at Guildford station – our first ever International Veterinary Students Association (IVSA) Surrey exchange had begun. For four months prior to their arrival, a team of 10 Surrey Vet students, headed by the two IVSA reps (Brittany Pike & myself), had worked together to fundraise and plan the itinerary for the their visit. We were also very generously given a sponsorship of £2000 from Natural Instinct, a raw pet food company, which covered a large majority of the costs. Fundraising activities included bag packing, face painting, selling mince pies and holding our own “I’m a student, get me out of here!” race. We met the Berlin students at the station where we introduced them to their Surrey hosts, splitting off to settle in before reconvening in the evening for a casual night of games and drinks to get to know each other. 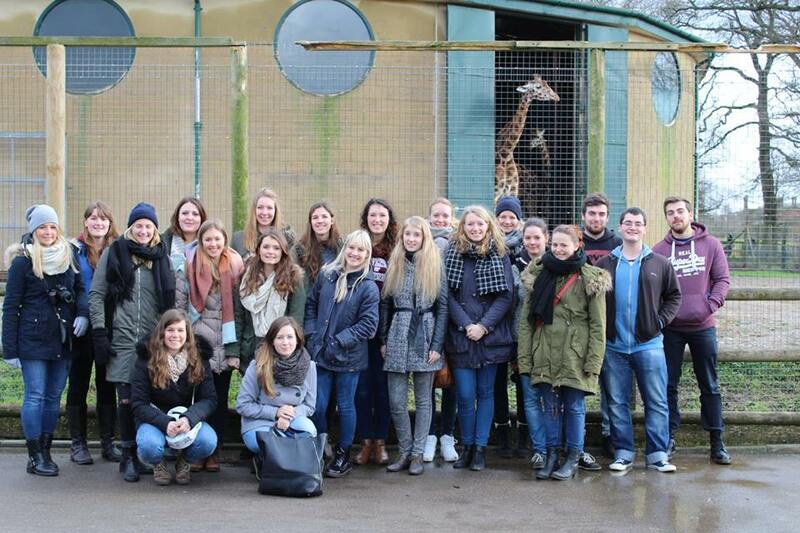 The following day we kicked started the exchange with a trip to Marwell zoo, one of our Vet School partners. We spent a large majority of day there listening to several of the keeper talks and learning more about the animals they look after. On the Sunday the students had a free day giving them an opportunity to explore Guildford and experience some English culinary traditions such as a full English breakfast, afternoon tea and a roast dinner! On Monday morning we headed into London to explore the Natural History Museum before splitting up to experience the variety of sights London has to offer. Several of us headed over to Camden to take in the sights and smells of Camden market, whilst others visited famous landmarks from fictional books such as Platform 9¾ from Harry Potter and Baker Street from Sherlock Holmes. We then headed back to Guildford for a zoo-themed night at a local nightclub – it was a brilliant night out and fun was had by all! Everyone managed to make in to the Vet School the following morning at 9:30am for a tour of our facilities and a introductory talk from Professor Roberto La Ragione, Head of the Department of Pathology & Infectious Disease. The afternoon was spent in our new pathology facilities participating in hands-on dissection classes organised and run by our pathology team and Surrey Veterinary Pathology (our student pathology group). These classes included brain removal & examination from sheep and exotic anatomy, both areas new to the Berlin students. 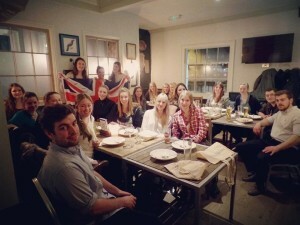 In the evening, we enjoyed an evening of good food, drinks and laughter at the White House pub in Guildford where we presented the exchange students with gifts from our sponsors at Natural Instinct and a Great British flag signed by all the Surrey students. At this point most people said their goodbyes, as early the next morning the Berlin students left for the airport for their flight home. It was a fantastic experience to be a part of and I am proud to say that I played a key role in organising the first, of hopefully many, Vet School exchanges here at Surrey. We are now looking forward to completing the exchange in April when we visit the students in Berlin. 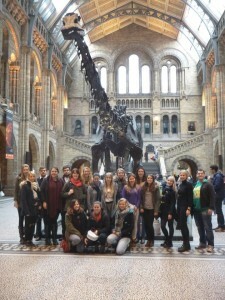 It will be interesting to see their Vet School and to experience the city of Berlin as a student. I am definitely glad that I took on the role of IVSA rep!